iCloud provides you with a lot of services and the good thing is that now iCloud for Android is possible. I know how it is like to use two mobile phones, an apple and android at the same time. 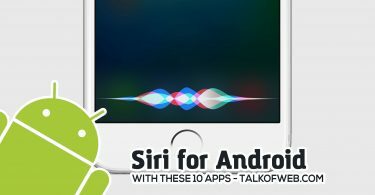 This guide can also prove fruitful to those people who are switching from iPhone to Android. Setting up iCloud for android will come from various hacks and procedures but if you stick by this tutorial, in the end you’ll have a foolproof iCloud setup for Android. After reading this tutorial you’ll have working version of iCloud Emails, iCloud Contacts, iCloud Reminders/Notes and iCloud Calendar on your android device. Which means if you use mac then everything of mac will be available on your Android device too, setting up iCloud for Android was never too easy! First and foremost you need to setup email for Android. Email is something important and everyone loves to remain connected with what so ever important they are trying to do through communication. iCloud email for android can be setup using any email client on Android. You can use any email client application for android to read your emails. I’m going to use the default email client of the Android, which is Email. Just open up email and then follow the steps. Step 1: Put your iCloud username and password in Android Email application. Then click on Manual Setup. Step 2: You need to select the account type to be IMAP. Step 3: Email Address, put your own iCloud email address which will be [email protected] Username put your iCloud email in first attempt and in the next attempt if failed, simply use your iCloud email first part, like if it’s [email protected] then use your-id as username. IMAP server should be imap.mail.me.com and rest Port must be 993 with security type as SSL. Use TLS instead if SSL doesn’t work. Step 4: Proceed to next step. There you need to add the SMTP details. Fill SMTP Server as smtp.mail.me.com rest, keep security type as SSL. Port must be 587. Rest, fields you know what to add. Use TLS is SSL doesn’t work. This time keep your username as full email. There are two ways using which you might be able to sync your contact of iPhone with your Android phone. The first method is rather simple, while the next method is simpler. If you want a hassle free import/export of contacts between Android and iPhone then probably the first method is perfect. Step 1: Go to Google.com/Contacts and there you may need to sign-in to your Google Account. In Android we use Google account to keep our contacts synched. So, the analogy is to add contacts directly in your Google Account from iCloud. Step 2: Go to iCloud.com login there and then click Contacts. There You need to click on the gear icon on the bottom left portion of screen. First click Select All and then click Export. After that export in vCard format. 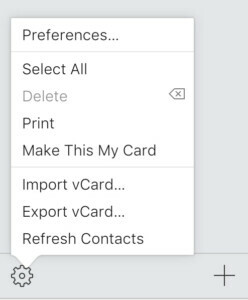 Step 4: After exporting, your all contacts are stored in vCard format on your computer. Now you need to upload this vCard file into your Google Account. Step 5: Go back to Google.com/Contacts. Click on the More icon on the left sidebar. Step 6: There you will find import button. Click on that button and then select vCard. Step 7: A dialog box of file selection will appear. Just browse for the file which you have downloaded from iCloud. Thus, upload it and then merge any duplicate contacts. Merge option can be found from same sidebar on contacts.google.com where you found the more button. You can do the above process from google contacts to the iCloud contacts too, iCloud accepts the vCard file to be imported which is exported from Google contacts. There are various apps which can be used to sync your iCloud contacts with Android. Using third party apps can be dangerous, but thanks to the apple one-time password. You can login your session but again another person can’t use the same password. Step 1: Let’s use Sync for iCloud Contacts, open playstore on your device and search this application Sync for iCloud Contacts. Step 2: Go to Apple One Time Password Account Page. There find “App Specific Password” and click Generate. Step 3: Just copy the password which comes next, and paste it somewhere. 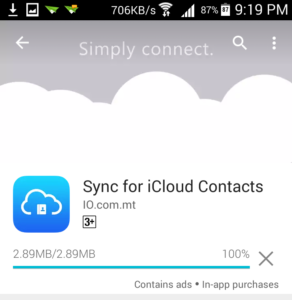 Now open up the installed Sync for iCloud Contacts application on your Android phone. Step 4: Click on the Plus icon on the bottom right corner. On next screen you need to login to your iCloud Account. Use you iCloud email but use the password you just generated in step 3. Then click Login. Step 5: Just proceed on next step. And on the home screen of the app you’ll see a new box added. This is your iCloud contacts Box. Click on this Box. 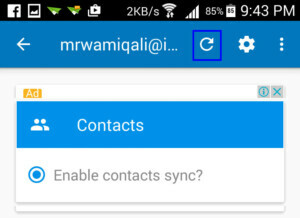 On next screen click Enable Contacts Sync. Then click on refresh button on the top bar, next to gear icon. 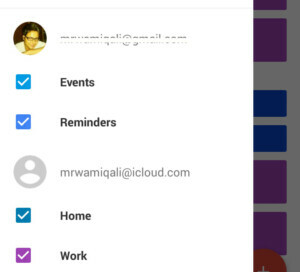 In your contacts application just switch between your Google Contacts and iCloud contacts, to view all contacts. If you launch your contacts application of Android phone then in settings you can change which contacts you want to see. Simple? No? iCloud has its own calendar while the Android uses Google’s calendar to sync the schedule. You will also use the application from the same developer here which was used in part 2 of this tutorial to sync your iCloud calendar with Android. You will also need one-time password from apple in this step. Use “step 2 – 3” from “part 2” of this tutorial to learn how to create on time password for iCloud login if you use two-factor authentication of login in iCloud. 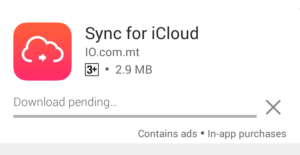 Step 1: Download Sync For iCloud application from the Playstore. Step 2: Generate one-time login password from Apple’s Account. Then click on the plus icon after launching the application, Sync for iCloud on your Android. Step 3: Login to your iCloud account and in password field put your one time generate password from your itunes account. Step 4: After your iCloud calendar account is added in your Android simply, then click on the box created in home page of the installed application. Then you’ll be taken to this screen. Make sure you turn on sync for selected calendars like work, home etc and click on the refresh button on the top bar. Step 5: Open the calendar application in your Android. The most of times its the Google Calendar Application. There you will see your iCloud calendar entries too, and in the left side menu, if you click on those three bars on top left corner of screen you will see that your iCloud calendar is present. Syncing your apple’s notes app with Android is somehow a different thing, fortunately, the iPhone’s / Mac’s notes app uses the Google account in the shape of Gmail too, along with the iCloud account. Your notes can be found in gmail.com (login using your google account) found under the Notes folder. The notes folder in Gmail can be found on the same line where inbox, sent and drafts are present. However, if you don’t have added a Google account to your iPhone/Mac then you are at fault, just make sure your Google account is added. 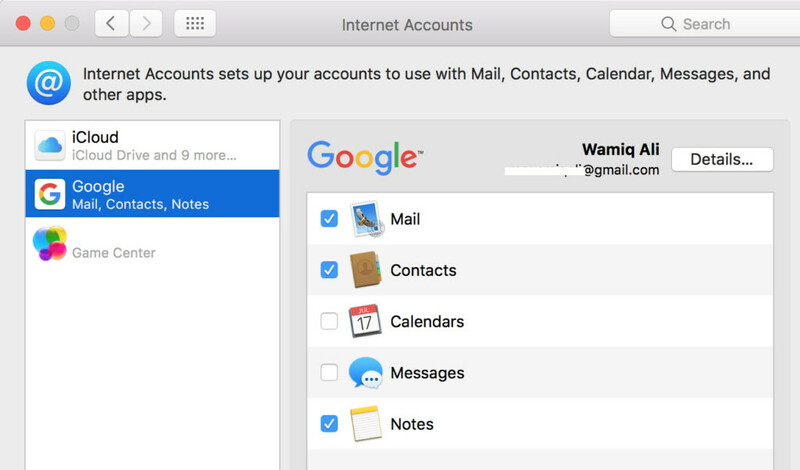 You must also go to the Settings>Internet Accounts on mac, and turn on notes syncing for your Gmail account. While saving your notes on iPhone make sure you are adding it to the email folder, by pressing back button after launching the notes app you can select Gmail there and then start writing a note. I on usual add notes to iCloud folder in iPhone application and then push important notes back to Gmail folder so that these notes are available on my Android device too. 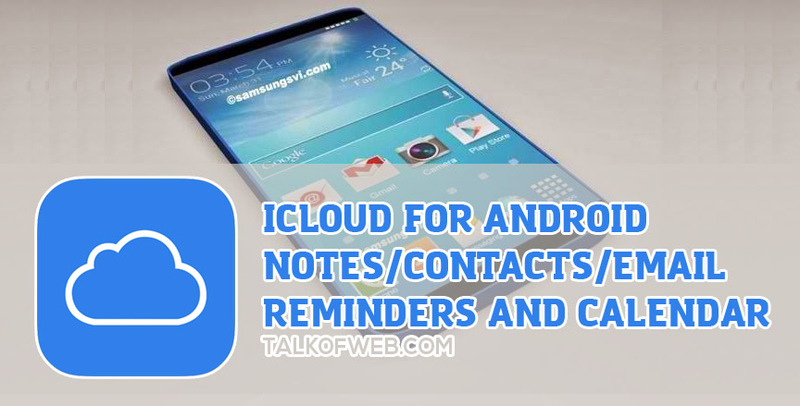 However, there might be some apps available to get your iCloud notes on Android. On the other hand you can always use Evernote. Reminders can also be synced on your Android device, and now if your iPhone has a dead battery, or you have added reminders on your mac, then don’t worry your Android smartphone is going to save you here with ease. 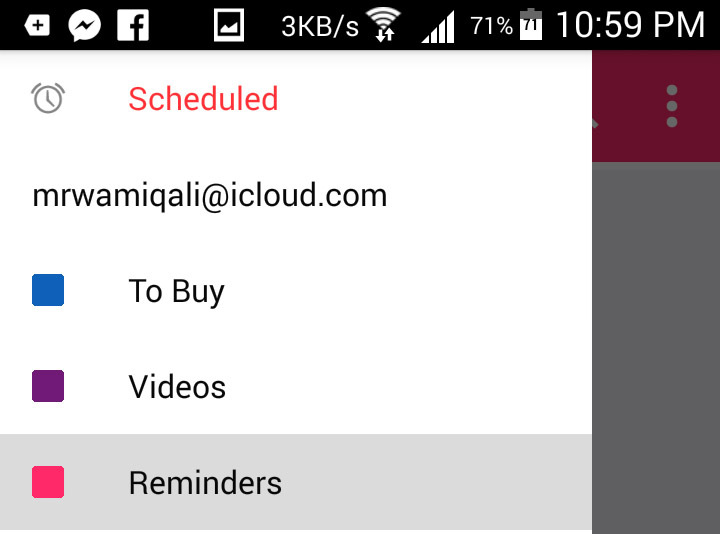 You can use iCalendar and Reminders Sync application from the Playstore to sync your iCloud reminders. This application can also get you Calendar from iCloud on your Android, but I haven’t tested this feature yet. Thus, let’s use this for reminders sync only. 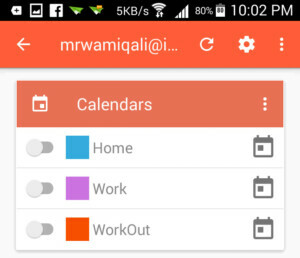 Step 1: Download the iCalendar and Reminders Sync from Playstore. Launch the application after the installation. Step 2: Go to appleid.apple.com and there sign in, if you have two-step-authentication enabled and you are not able to login into any part of this article. 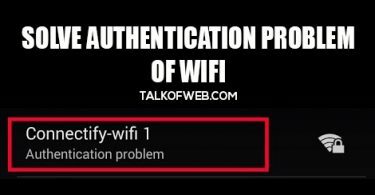 As mentioned in part 2 of this tutorial, just generate the one-time login password. As you’ll launch the application just login using your iCloud email and one-time password. After a successful login, it will start syncing and will show you an interface with your Reminders/Tasks titles and sub-entries. The titles can be seen if you click on the three lines on the top left corner. This means you can use your iCloud over your Android too, these things are quite simple and easy to be organised. If you have some other requirements then feel free to add below in comments. I’ll be more than happy to add that portion in this article and help you all visitors.